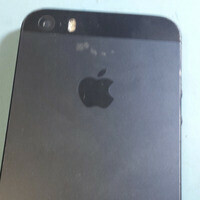 Another day, another leak related to the rumored iPhone 5S. This time we have a relatively clear photo showing what kind of hardware the smartphone has tucked under the hood, along with one of the handset's back side. Now, we have no way of confirming the legitimacy of these two images, but we might be looking at the real deal. The arrangement of the elements and connectors on the circuit board resembles closely what we saw in a previous leak, while the opening for the LED light has an oval shape, as it did in these iPhone diagrams that leaked days ago. Is this the iPhone 5S? The oval shape is to accommodate a dual LED flash, rumors about which we've been hearing since last year. Some say that one of these LEDs will have a blueish tint, but we can't tell whether that's the case from this image. 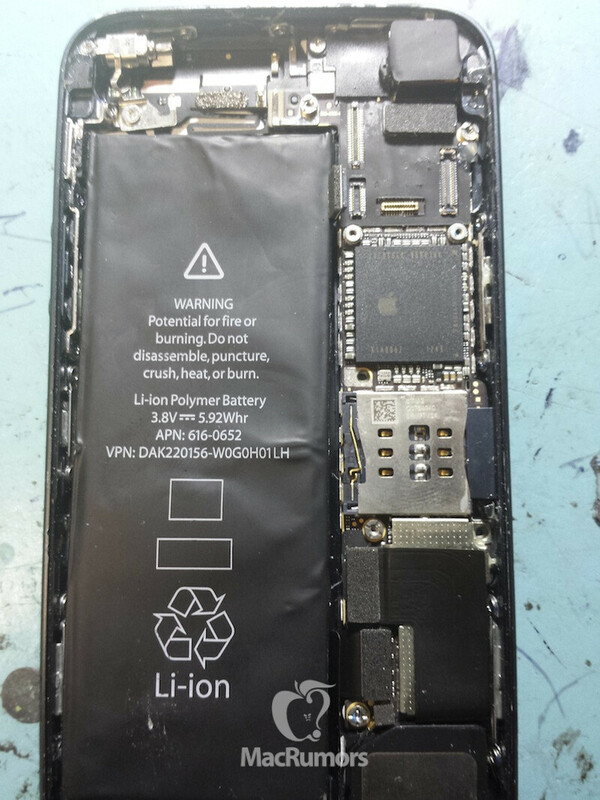 Other than that, the back side of this iPhone 5S appears to have not been changed. On the inside we have a battery that's rated at 5.95 watt-hours. In comparison, the one in the iPhone 5 has a capacity of 5.45 watt-hours, so hopefully, the iPhone 5S will have better battery life than the current model. The SoC housing the smartphone's processor hasn't been marked so we aren't sure whether that's an A7 chip or something else. As MacRumors notes, the silicon has been manufactured in October of 2012 and it might be Apple's A6 SoC placed there for testing purposes. The rumored iPhone 5S is expected to arrive later in 2013 alongside a cheaper iPhone model. Both are likely to come with the same 4-inch screen and iOS 7 pre-installed. The low-cost iPhone, however, will probably be thicker and plastic-made, while the pricier iPhone 5S will most likely stick with the current model's aluminum design. Seriously? At least the SGS4 got a boost in screen size, screen resolution, slimmer design yet bigger battery, and smaller bezels. Still a Galaxy S3s, nothing really impressive, only what we expected. And Where's the thumb down button? Welcome to 2009 Apple !!! 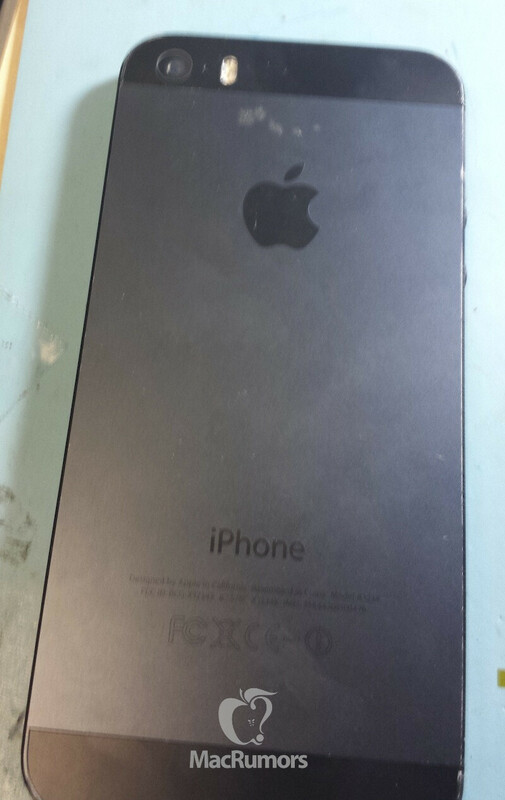 this is not the 5s,still iphone something. 5% innovation no SD card. This is Amazing.. this is what all we waited for Yeezus!! now I can have a stylish new pretty OS, a bigger screen from 4" to 4,00001" and dual led flash!!.. YEEEESSSS!!!! Take my 1000€ for the 128GB version! Dual Led flash and Xenon Flash mostly see only in Nokia. Iphone 5S comes with Dual Led Flash and I heard that Samsung always just put Xenon flash into its device and the rumor said that the next sony flash will also pack a Xenon flash. very interesting!!!!! Putting a dual LED flash makes iPhone revolutionary? Not so fast it's not revolutionary. Well, I'm sure Apple will say they placed it at such an angle that blah blah blah aperture, blah blah blah shutter, blah blah blah never been done before, blah new way, blah blah INNOVATION! Surely it will also have a CPU and Gpu upgrade, great! A7X = E5410 A15 Dualcore clocked at 1.5Ghz Gpu PvrSgx 554 Dual 50% upgrade 720P 400+Ppi 1800 Mah battery Yes hope it does? il'e sell the iP5 and get this, if not I'm happy with this! This is soo sad. As we knew it. It looks the same nothing too get excited over. 5% innovation in Battery 10% innovation in Flash 50% innovation in their price. Here you have "the all-new iPhone 6! " So Apples flagship phone will have a 4 inch 640p display from now and in to late 2014, talk about being a leader of the industri! Apple should just make a new phone for its redesigned OS.